The shareholders in Platzer Fastigheter Holding AB (publ), corporate identity no. 556746-6437, are invited to attend the Annual General Meeting on Thursday, 26 April 2018 at 15.00 pm at Platzer’s head office, Kämpegatan 7 in Gothenburg. Platzer Fastigheter Holding AB (publ) will hold its Annual General Meeting on Thursday 26 April 2018 at 15:00 at Platzer’s head office, Kämpegatan 7 in Gothenburg. Admission to the Annual General Meeting is from 14:00, when light refreshments will be served. Platzer’s management and Board of Directors will be on hand before the Annual General Meeting to take questions from shareholders. To be entitled to attend and vote at the Annual General Meeting of Platzer Fastigheter Holding AB, shareholders must be entered in the shareholder register maintained by Euroclear Sweden AB on 20 April 2018 and have notified the company of their intention to attend the Meeting not later than 20 April 2018, preferably before 16:00. Send your registration by post to Platzer Fastigheter Holding AB, FAO: Agneta Timhagen Meier, PO Box 211, SE-401 23 Gothenburg, Sweden, or call +46 (0)31 – 63 12 00 or send an email to agneta.meier@platzer.se, or register via the company's website, platzer.se. The registration should include the shareholder's name, personal identity number/company registration number, address, telephone number and shareholding, as well as the name(s) of any assistants (no more than two). Shareholders who have chosen to register their shares in the name of a nominee must temporarily register their shares in their own name with Euroclear Sweden AB, so they are entered in the shareholder register not later than 20 April 2018 to be entitled to attend and vote at the Annual General Meeting. This can be a temporary registration. Shareholders who are represented by a proxy/proxies must issue a written, dated form of proxy. Forms of proxy can be downloaded from the company's website, platzer.se. If the form of proxy is issued by a legal entity, a signed copy of the entity's certificate of incorporation or equivalent authentication document is also required. The original of the form of proxy, certificate of incorporation and other authorisation documents must be made available at the Meeting and, to facilitate admission to the Meeting, must be sent to the company at the above address, ensuring they will be received not later than 20 April 2018. The form of proxy must not be more than one year old, unless it states that it is valid for a longer period, although this must not be more than five years. Election of Chairman of the Meeting, resolution on the number of Board members, fees to the Board of Directors and auditors, election of Board members and Chairman of the Board of Directors, election of auditors and resolution on policies for appointment of the Nomination Committee. Item 2 that the Meeting shall elect Charlotte Hybinette as Chairman of the Meeting. Item 12 that the Board shall consist of six ordinary members without any deputy members. Item 13 that total fees paid to the Board shall amount to SEK 1,225,000 (1,050,000), of which SEK 350,000 (300,000) is to the Chairman of the Board and SEK 175,000 (150,000) to each of the other members. This corresponds to an increase of 16.5%. that fees to the auditors shall be paid according to an approved invoice. Eric Grimlund, born in 1967 in Stockholm, Sweden. Eric Grimlund is a construction engineer and has a Master of Laws degree from Stockholm University. He is a solicitor and has worked at Landahl Advokatbyrå AB law firm since 2003. He is a partner in the firm and specialises in property law, primarily construction contract law. Eric Grimlund is Chairman of the Board of Länsförsäkringar Skaraborg mutual insurance company and a member of the Board of Länsförsäkringar Liv Försäkringsaktiebolag (publ). He does not hold any shares in Platzer. please see the company’s website platzer.se. Fabian Hielte is proposed for re-election as Chairman of the Board of Directors. Item 15 that the public accounting firm PwC be re-appointed as the company's auditor until the closing of the 2019 Annual General Meeting, with Bengt Kron as the Auditor in Charge, in accordance with the Board of Directors’ recommendation. The Nomination Committee is appointed annually and must consist of the Chairman of the Board of Directors and a representative of each of the three largest shareholders in terms of votes at the end of the third quarter. The Chairman of the Board of Directors shall convene the first meeting of the Nomination Committee. The names of the persons who will form the Nomination Committee must be published on the company's website not later than six months before the next Annual General Meeting. If any of the three largest shareholders in terms of votes refrains from appointing a representative to the Nomination Committee, this right accrues to the next largest shareholder in terms of votes. If a Nomination Committee member's connection with the shareholder that nominated the member ends or if the member leaves the Nomination Committee for any other reason, the shareholder that nominated the member will have the right to replace the member on the Nomination Committee. If any shareholder who appointed a member to the Nomination Committee disposes of a major holding of its shares in the company before the Nomination Committee’s task has been completed, the member appointed by this shareholder must, if the Nomination Committee so decides, resign and be replaced by a new member appointed by the largest shareholder, in terms of votes, that is not represented on the Nomination Committee. The Nomination Committee appoints a Chairman from among its members. The Chairman of the Nomination Committee must not be a member of the Board of Directors. The Nomination Committee must prepare proposals for presentation to the 2019 Annual General Meeting for resolutions on the Chairman of the Meeting, Board fees, auditors' fees, the Board of Directors, the Chairman of the Board of Directors, auditors and the Nomination Committee for the 2020 Annual General Meeting. The Board of Directors and the CEO propose a dividend to the shareholders of SEK 1.50 per share (SEK 1.10). The Board of Directors proposes 30 April 2018 as the record date for the dividend. If the proposal is approved by the Annual General Meeting, the dividend should be paid out via Euroclear Sweden AB on 4 May 2018. The Board of Directors proposes that the Annual General Meeting approves Platzer to make a transfer of 50 per cent of the shares in the company that owns the property Gårda 2:12 to Länsförsäkringar Göteborg och Bohuslän and the subsequent letting of office space to Länsförsäkringar Göteborg och Bohuslän. As at the date of the Notice, Länsförsäkringar Göteborg och Bohuslän owns 21.8 per cent of the votes in Platzer. It is the assessment of the Board of Directors that the transaction is the kind of related party transaction that should be submitted to the Annual General Meeting for ratification, in accordance with good stock market practice (AMN 2012:05). The Board of Directors is proposing that the Annual General Meeting approve the following guidelines, which are unchanged from the guidelines approved by the 2017 Annual General Meeting. Remuneration and other terms and conditions of employment for the company’s senior management must be on market terms and competitive, and must be based on the employee’s responsibilities and performance. Remuneration takes the form of a fixed salary for all members of the senior management. Pension terms and conditions must be on market terms and based on a defined-contribution pension or the ITP occupational pension scheme for white-collar workers. In addition to a fixed salary, it should also be possible to offer variable remuneration to reward predetermined and measurable performance. Variable remuneration must not exceed an amount corresponding to three monthly salaries, or six monthly salaries for the CEO. Long-term variable incentive schemes should be share-based and performance-related, and the maximum commitment should be limited to one year’s salary. Notice of termination, when given by the company, shall be up to 12 months. Severance pay, including salary during the notice period, must not exceed 12 monthly salaries. Variable remuneration to senior executives in the company in 2017 amounted to approx. SEK 2 million. The Board of Directors shall have the right to deviate from the guidelines in the event of special circumstances in individual cases. The Board of Directors proposes that the Annual General Meeting resolves to authorise the Board of Directors to decide, not later than the time of the next Annual General Meeting, on one or more occasions and with or without preferential rights for shareholders, on a new issue of class B shares for a total value of not more than 10 per cent of the share capital. The share issue may be implemented as a cash, non-cash or offset issue. Shares may only be issued at market price. The reason for deviating from shareholders’ preferential rights is that the company, in the case of property transactions, may need prompt access to capital or, alternatively, may need to pay with the company's shares. Furthermore, it is proposed that the Meeting authorise the Board of Directors and the CEO to make any minor adjustments to this resolution and take any action that may be necessary in connection with registration. Please note that for the resolution to be valid, it must be supported by shareholders with at least two-thirds of both the votes cast and the shares represented at the meeting. The total number of shares in the company is 119,934,292, of which 20,000,000 are Class A shares and 99,934,292 are Class B shares. The company holds 250,000 Class B shares, which cannot be represented at the Annual General Meeting. One A share carries 10 votes. One B share carries one vote. The total number of votes in the company is 299,934,292. 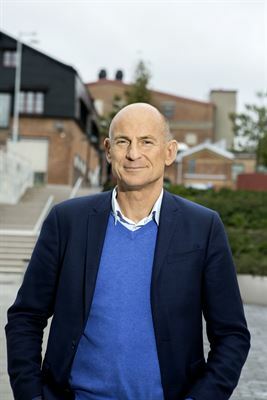 The Nomination Committee’s full resolution proposals, reasoned statements and information about proposed Board members and auditors, together with associated documentation, are available from the company and on the company’s website, platzer.se. The annual report, consolidated financial statements, auditor’s report and auditor’s opinion, the Board of Directors’ full resolution proposals and associated reasoned statements pursuant to Chapter 18, Section 4 of the Swedish Companies Act, and the Board of Directors’ report on evaluation of remuneration and application of AGM guidelines on salaries and other remuneration for senior executives, as well as the auditor’s opinion pursuant to Chapter 8, Section 54 of the Swedish Companies Act, will be made available to shareholders from the company three weeks before the AGM. The documents will also be published on the company’s website, platzer.se. As supporting documentation for the Annual General Meeting’s decision according to Item 17 of the Agenda, the Board of Directors has obtained a valuation report from an independent expert, as well as having prepared a report on the proposed transfer, and these documents will be made available on Platzer’s website not later than three weeks before the Annual General Meeting. On request, the documents can also be sent by post to shareholders who provide their postal address. The documents will be presented at the Annual General Meeting. The shareholders are entitled to certain information at the Meeting. The Board of Directors and the CEO shall disclose information on matters that may affect the assessment of an item on the agenda, matters that may affect the assessment of the company's or a subsidiary's financial situation or the company's relationship with another Group company if requested to do so by a shareholder and if the Board of Directors is of the opinion that it will not cause any material harm to the company. Platzer Fastigheter Holding AB (publ) owns and develops commercial properties in the Gothenburg area comprising a total lettable area of around 800,000 sq. m. and with a value of around SEK 16 billion. Platzer is listed on NASDAQ Stockholm, Mid Cap.